AMANDA Knox is not only a murderess appealing against her conviction for her part in the brutal killing for Meredith Kercher, she is a muse, inspiring a TV film called the The Amanda Knox Story. 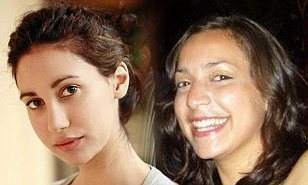 It’s a title that reduces Kercher to an extra in the made-for-TV film of her death. Playing Knox is Hayden Panettiere. Playing Kercher is Amanda Fernando Stevens. No, she’s not playing the dead body in the film directed by Robert Dornhelm. That would be opportunist, sensationalistic, cheap and sick.